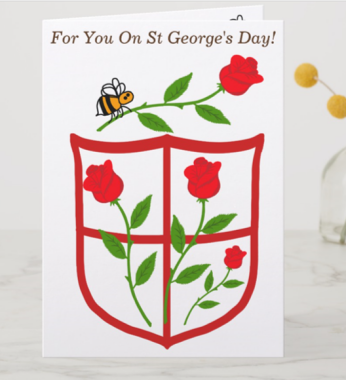 This site features a number of lists of flowers and shrubs loved by bees, however there are also a number of pages featuring notes on specific plants and flowers bees love. 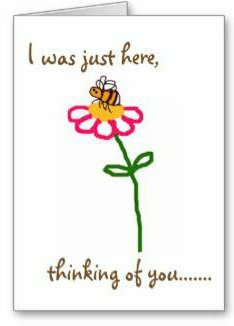 These pages include notes and photographs, extra detail and ideas, why a plant is beneficial for bees, how to grow, or other information. Each page is different. I decided to create a page adding a link to these additional notes. 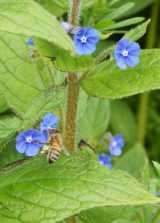 Why are the flowers of some plants and shrubs more attractive for bees than others? Various flowers loved by bees are visited mainly for the nectar, others provide lots of pollen, whilst some offer bees both of these things. Some plants offer additional benefits: for example, the plant itself (petals, plant hairs) may be harvested for use in building nests. Some flowers are more attractive to particular species than others. This list is in alphabetical order, and will be added to on a regular basis. This wildflower offers nectar and pollen, and looks wonderful in a lawn or rockery. 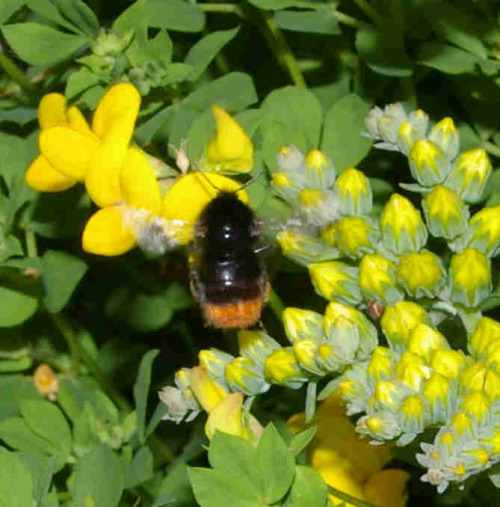 Increasingly, it is being used in pollinator-friendly pasture schemes. 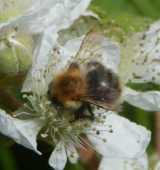 The flowers provide lots of nectar, and hollow, dead bramble stems provide shelter and homes for solitary bees. Leave a patch on your lawn. Eventually when it is time to mow, use the clippings as a high nitrogen soil dressing, or add the clippings to your compost heap. Cash strapped councils could also use it along the roadside verges to help create pollinator corridors. 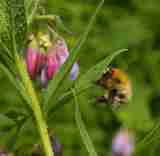 Watch these video clips of different types of bees foraging on comfrey - some entering the flower, and some engaging in nectar robbign or secondary nectar robbing. On this page, a beekeeper shares one of her top recommended plants for bees: ceanothus. Ceanothus is a magnet for honey bees, bumblebees and solitary bees, and provides early spring food. It's such a pretty shrub! Other pollinators like them too! They provide long-season food for hungry bees, sometimes when little else is available. This beautiful evergreen shrub produces deep pink flowers loved by bees for their nectar. A grassy verge featuring lots of this wildflower is a boon for all kinds of bees in early spring. There is a similar plant suitable for the garden which can be grown from seed. 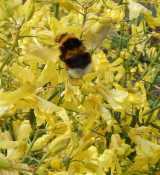 Allow just one kale plant to flower in your border, and it will be covered in bees early in spring - you can still eat a few of the leaves too! The flowers a yellow, fragrant, and the plant is bushy and quite tall. Even the seeds can be eaten. Fantastic plant! Fact. But so do the slugs and snails - also a fact. 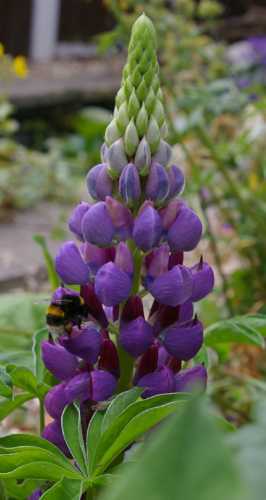 So how can you grow lupins and protect your plants? The anthers are full of pollen loved by bumblebees, honey bees and solitary bee species. 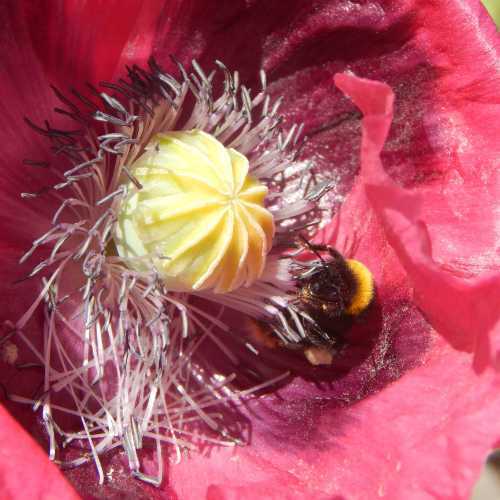 Take a look at some of these fabulous photographs of bees foraging on poppies. Early in the year when food is scarce, up comes pulmonaria, with its cheery pink and blue flowers. 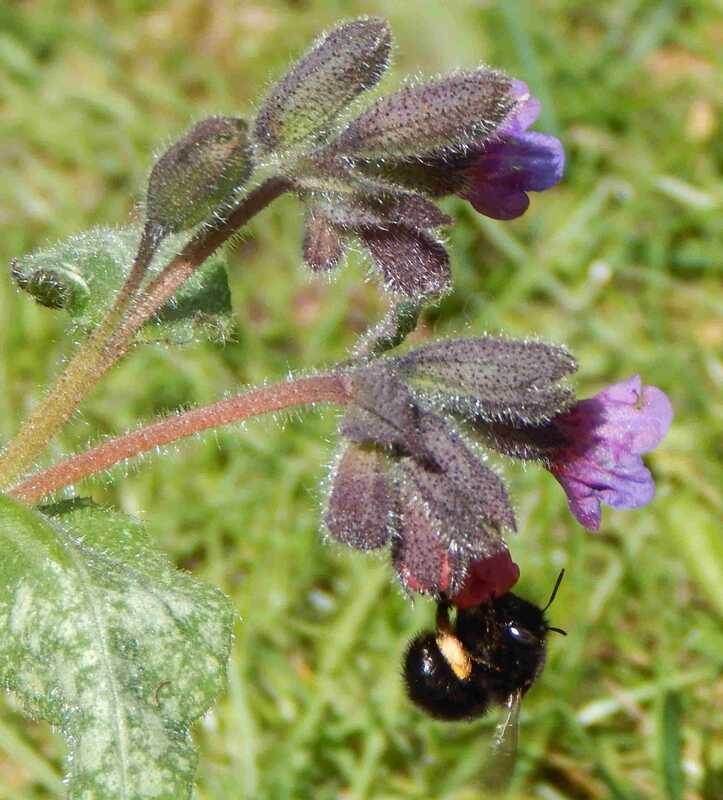 Hairy footed flower bees and bumblebees appreciate this early source off food. 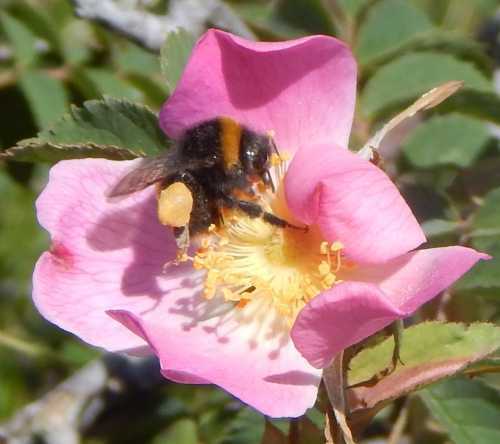 Rosa rugosa and various wild roses are visited by bees from around May/June onwards. They provide lots of pollen for bees!